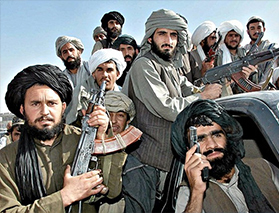 Negotiations between the United States and the Taliban have now reached an advanced stage. As reported, representatives from the US and the Taliban are slated to engage in discussions with their respective stakeholders and leaderships before proceeding to the next stage of negotiations. The next phase, as reported, would witness discussions among different stakeholders within Afghanistan and also for a “comprehensive ceasefire”. Although the specific modalities of the proposed agreement are not clear yet, within the power corridors of South Asian capitals, the news of possible US withdrawal has caused a great deal of concern over the unfolding situation and its ramifications on South Asian security. In addition to influencing the security situation in Afghanistan and the neighborhood, the possible US withdrawal is bound to have its own set of consequences on several proposed and ongoing development and economic projects in the region. One such project whose outcome would possibly get affected as a result of the evolving power equations in Afghanistan is the Turkmenistan-Afghanistan-Pakistan-India gas pipeline project (TAPI). The project is designed to bring natural gas from Turkmenistan via Afghanistan and Pakistan into India. When implemented, the project is expected to bring 38 mmscmd (million metric standard cubic meter per day) of gas to India. However, as a result of several commercial and security factors, the proposed project has not fructified yet. In the current context, progress of TAPI project would largely depend on the outcome of negotiations between the US and the Taliban and the ability of different parties within Afghanistan to honour their side of the agreement. In its intent to carve out a larger political space within Afghanistan, one possibility to consider is the fact that Taliban may continue to jostle with Afghan forces post-US withdrawal. Thus, given the uncertain security conditions, which are likely to continue to prevail in Afghanistan post-US withdrawal, it wouldn’t be wrong to assume that international financial promoters would be reluctant to support such a project. On the other hand, construction of the TAPI project may become possible only in the scenario that the Taliban — which enjoys support from Pakistan’s security establishment — shows political maturity and expresses its support to the project. Given the pressing energy shortages as a result of inadequate supply of gas in Pakistan, it won’t be surprising to see Pakistan urging and even pressurising Taliban to support TAPI gas pipeline’s construction. At this juncture, Pakistan is undergoing a major energy crisis. The situation is acute particularly in Sindh province, with the power crisis increasing the possibility of industries to shut down their operations, also leading to possible unemployment. As of now, to meet its near-term natural gas requirements, Pakistan has sought import of Liquefied Natural Gas (LNG) from Qatar. Reports in the past have also indicated about Saudi Arabia’s offer to supply LNG to Pakistan. In light of these developments in Afghanistan’s politics, it would be interesting to see what position India adopts vis-à-vis TAPI gas pipeline and whether India would be ready to continue its participation in the project. The presence of a non-Taliban government in Afghanistan gave India some level of comfort in agreeing to become a stakeholder in the TAPI pipeline by signing the Gas Sales and Purchase agreement back in the year 2012. With Taliban slated to now become a recognised stakeholder in Afghan politics, a whole new set of political and security challenges have arisen for India to further pursue its participation in the TAPI project. India and the rest of South Asia is yet to witness politically “evolved” conduct from Taliban, which is immune from any influence of Pakistan’s security establishment. In 2015, Prime Minister Narendra Modi during his visit to Ashgabat had reportedly proposed to import gas from Turkmenistan via a land and sea route via Iran. This route for energy exports from Turkmenistan to Iran, which finds its mention in Ahmed Rashid’s book Taliban: The Power of Militant Islam in Afghanistan and Beyond, must, in the present context, be once again explored seriously by India. This strategy will enable India to avoid a politically volatile Af-Pak region and help leverage Chabahar’s potential as a future “energy transit hub”. It would be a good idea for India to firm up to the idea of this land-sea option and actively pursue consultations with Turkmenistan and Iran to initiate some concrete work on this project. Depending on the evolving political developments, provision can also be made for Afghanistan to source gas from this land-sea pipeline at a later stage. Considering the expected demand for natural gas in the country, India, according to Minister of Petroleum and Natural Gas Dharmendra Pradhan is already in the process of augmenting its regasification capacity for Liquefied Natural Gas on its western and eastern coasts. Given the emerging ominous geopolitical circumstances emerging in the region, India must explore other options which are more robust from the perspective of its energy security. Pursuing the cited land and sea route would entail a major course correction for India, but when viewed from the prism of sustainability of energy supply security, it would be worthwhile for India to start its energy engagement in the region afresh.